If you’ve never seen an Akira Kurosawa film before, the first thing that strikes you about Dreams (1990) is its limpid, near incandescent beauty. A reconstruction of eight of Kurosawa’s real-life dreams, the film takes viewers on a tour through the psyche of one of the twentieth century’s greatest artists. Assisted by close friend and tokusatsu legend Ishirō Honda, the director of Godzilla (1954), and a partnership with Industrial Light & Magic, Dreams ranks among the most visually sumptuous films of Kurosawa’s career. Though the disjointed dreams can be loosely interpreted as a biography charting the boyhood, adolescence, and maturity of an artist, what sticks most in the mind are the images themselves, befitting such fever Dreams of Kurosawa. A young boy wanders through a field of wildflowers beneath a shimmering rainbow. A veil of peach tree blossoms blanket a hillside where living dolls perform a mournful Etenraku. 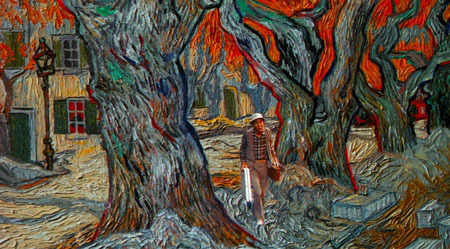 A young man explores the interior, Technicolor world of Vincent van Gogh’s paintings. 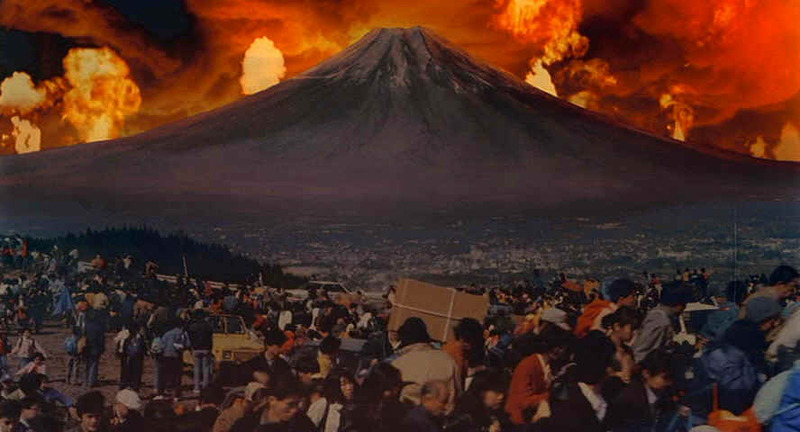 Mount Fuji erupts as six surrounding nuclear reactors melt down, spewing deadly gasses on fleeing mobs. An old man leads a joyful funeral procession down an ancient trail in a village forgotten by both time and the outside world. But initiates of Kurosawa’s work might find Dreams interesting for a much different reason. Perhaps more than any of his other films, it depends primarily on inaction. 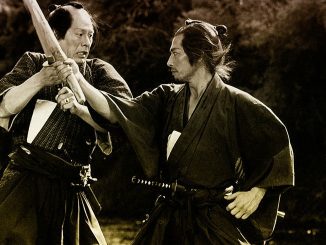 Kurosawa, who gained international fame with a series of formalistically daring yet thought-provoking chambara and jidaigeki, is associated mainly with daring samurai and desperate battles. His early work depended largely on a synthesis of meticulous mise-en-scène with razor-sharp editing. Even films focused on modern-day characters navigating quotidian struggles were enlivened by robust montages: Yukie (Setsuko Hara) learning how to be a farmer in No Regrets for Our Youth (1946); hapless citizens struggling to navigate the ouroboros of post-war Japanese bureaucracy in Ikiru (1952). 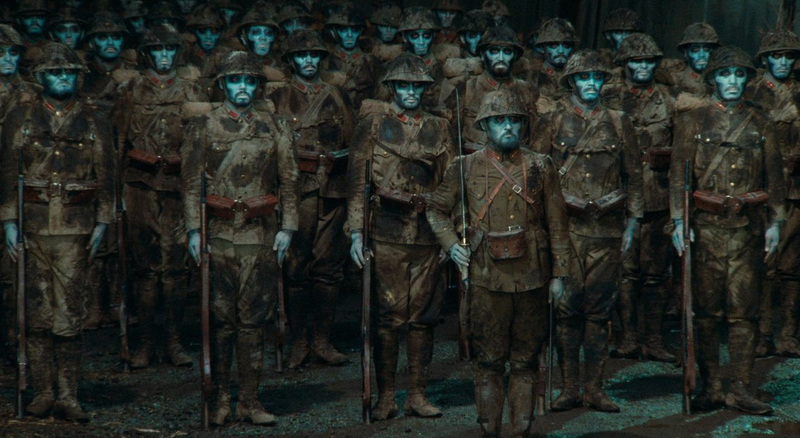 Even in contemporary settings, Kurosawa’s films were ones of action and forward momentum. But as he entered the 60s, his style began to favor long takes and prolonged moments of stillness. Look no further than High and Low (1963), a film so devoted to two-dimensional tableaux that it’s practically a filmed stage production. Re-watching his later film Dersu Uzala (1975), I didn’t notice a single close-up: Kurosawa favored long takes that emphasized his characters as extensions of their rustic environments. His Palme d’Or-winning comeback film Kagemusha (1980) unceremoniously opens with a static long take of three sitting men having a conversation in the mid-ground of a long shot. The whole opening is more reminiscent of Yasujirō Ozu and his beloved tatami shots than the man who revitalized and redefined the samurai epic. But even during these languid scenes, story was still being communicated. Yet there are prolonged sequences in Dreams that seem to exist outside any concern for narrative advancement. 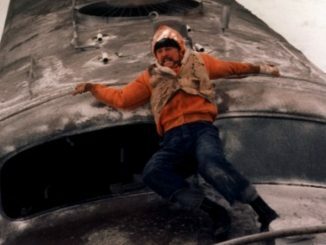 The third dream, entitled “The Blizzard,” opens with an almost interminable sequence of slow-motion mountaineering as a team of climbers struggle to find their base camp in a snowstorm. In the seventh dream, “The Weeping Demon,” the protagonist gazes upon a group of sinners transformed into oni by nuclear radiation. For several minutes we watch them writhe and moan, writhe and moan, over and over again. 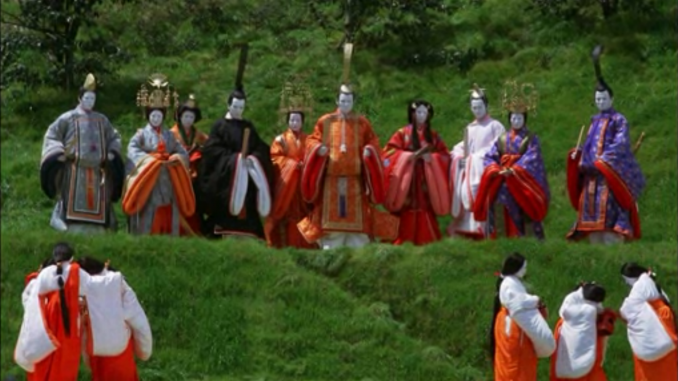 Kurosawa makes an event of their suffering that lasts longer than any streamlined plot could require. One of the most memorable dreams, the fourth one entitled “The Tunnel” wherein a returning Japanese company commander from World War Two encounters the ghosts of his dead platoon, also feels unusually still. Perhaps this is because, with the exception of one shot that required special lighting, the entire sequence was filmed in one 16-17 minute take that was captured with multiple cameras and edited together in post-production. For all its many beauties, Dreams makes uncharacteristic demands on the viewer’s patience for a Kurosawa film. The point here seems to be simple aesthetic appreciation, a cerebral experience more intellectual than emotional. For some that won’t be enough. But I would still encourage everyone to see it. The recent Criterion Blu-ray release is absolutely stunning. Not only is it brimming with bonus features—the interior booklet featuring an extended essay exploring Kurosawa’s relationship with the film on a biographical level by Bilge Ebiri is worth the price alone—the picture and audio quality are crystal clear. Dreams might be minor Kurosawa, but it’s still a fascinating achievement.